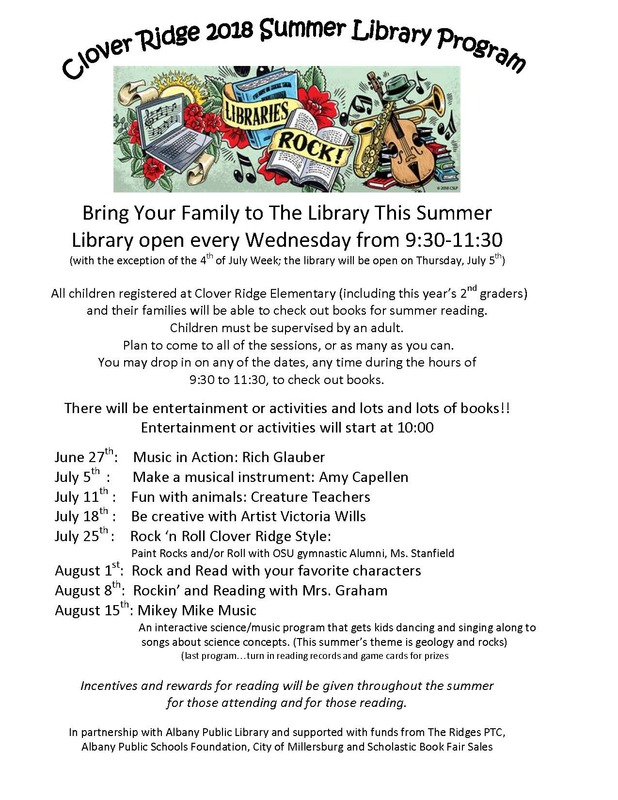 Come be a part of our Summer Library Program! 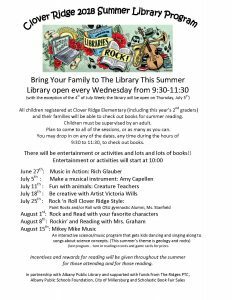 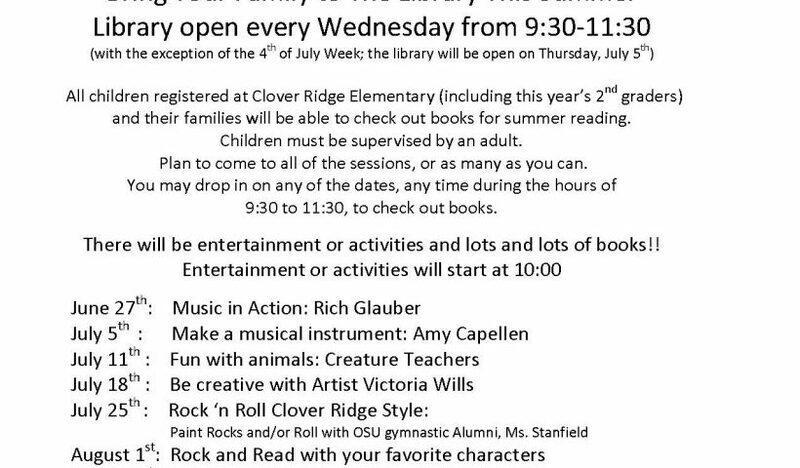 The Clover Ridge library will be open Wednesday’s from 9:30-11:30 for book check out and fun activities! 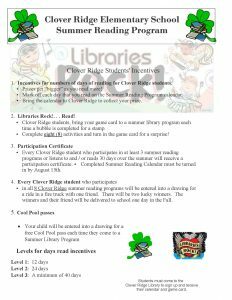 See the information below for more details.